I previously said that the final build of Windows 8.1 update 1 has been compiled as a MSU file and now it's time for the leaks to come in. Yeah ! 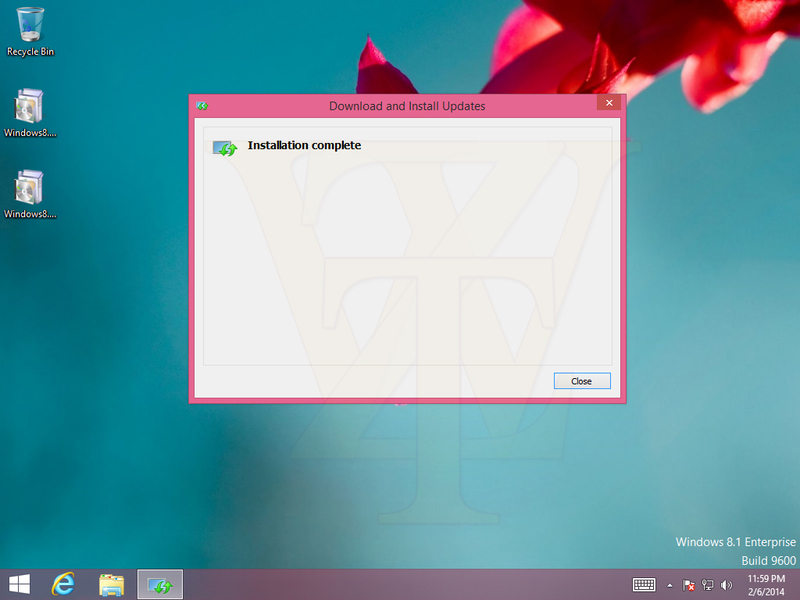 The Escrow build of Windows 8.1 update 1 is out in the web in the MSU format. Both 32-bit and 64-bit variants are available for download. I will release the screenshots as soon as I get it working. Windows 8.1 update 1 is set to be released in April via the Windows update and the escrow build might still contain some bugs as it is not a RTM build which will be released to soon to OEM partners. During Windows 8.1 release, was an MSU file released for updating Windows 8 Enterprise to Windows 8.1 Enterprise OR there was no other way except a fresh installation?